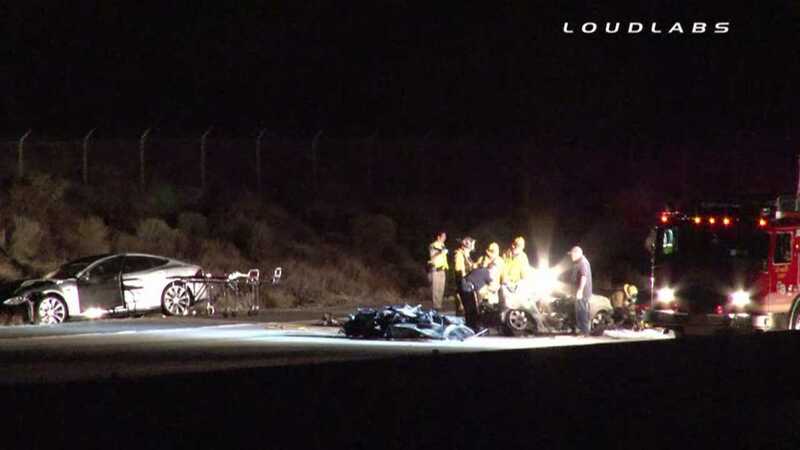 "Three family members were killed when a Tesla and a Toyota Corolla collided in Palmdale Friday night." This wreck involving a Tesla Model S is not to be confused with the previous event in which a stolen Model S was split in two following a high-speed chase. The incidents are entirely separate, despite occurring within close proximity. 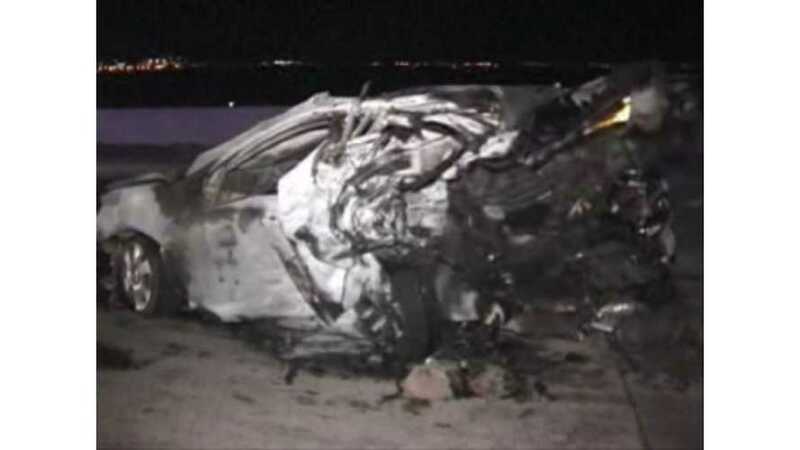 "The crash occurred around 10:30 p.m. on the southbound lanes of the Antelope Valley (14) Freeway near Avenue S. When the California Highway Patrol arrived on scene, the Toyota was on fire." "Three people in the Toyota, all family members, were entrapped and pronounced dead on arrival. Two others, believed to be an adult and a child, were extricated and taken to nearby hospitals. The child is in critical condition." This is never the type of life-changing news we wish upon anyone. On a brighter note, CHP Officer Jordan Richards says that multiple innocent bystanders assisted with removing the survivors from the burning vehicle and that the driver of the Tesla Model S suffered only minor injuries. “We ended up with three fatalities. Those three occupants were trapped in the vehicle as it was on fire." "Officials believe the driver of the Tesla rear-ended the Toyota. It is unclear what caused the crash. There is no immediate indication that drugs or alcohol played a factor." Captain Brian Jordan of the Los Angeles County Fire Department states that the Corolla was “rear-ended by a high-speed Tesla." 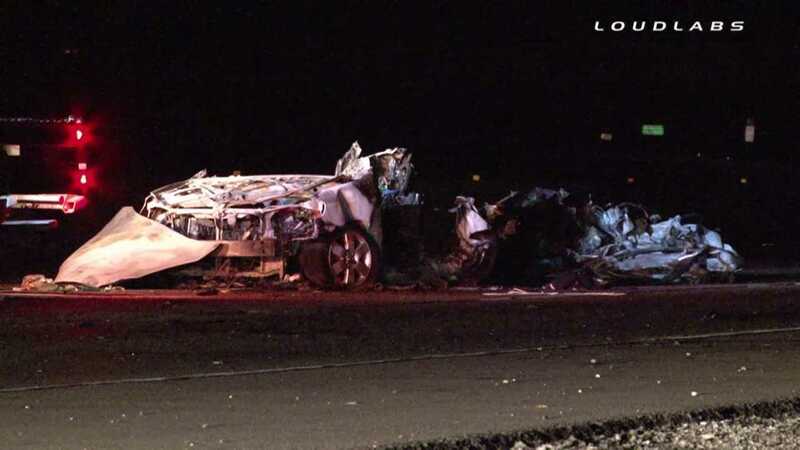 "A 2004 Toyota carrying five people was rear-ended by a 2013 Tesla on the southbound side of the Highway 14 near East Avenue S Friday around 10:35 p.m."
"The Toyota became engulfed in flames, killing a 40-year-old man, 13-year-old boy and 8-year-old boy, CHP reported. " "Ric Garrison, the 28-year-old Tesla driver from Newhall, was cleared by emergency personnel at the scene and released, CHP reported." *Editor's Note: Our thoughts and prayers go out to those affected by this tragedy.